It is an achievement in every bloggers life once they hit their 100th post. After all, it is your own personal accomplishment to manage and keep writing until we hit that big number! I'm truly grateful to everybody who follows my blog and keeps reading, thank you so much! 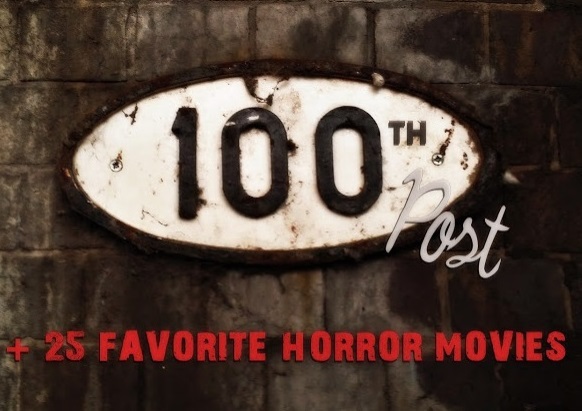 In continuation, I have decided to share some my favorite horror movies so that this 100th post won't be plain and boring with me rambling about how happy I am for my 100th post! 01. The Shining (1980) One of my absolute favorite horror movies of all time. Based on Stephen King's novel; this movie is about a family that heads to an isolated hotel for the winter. What happens next? All I'm going to say is that there is a creepy lady in the bathroom is still giving me the shivers. If you have seen the movie, you know what I'm talking about. If you have not, it is time that you watch it. With a development of technology, communication with the other side is no longer limited to Ouija boards and seances. Nowadays, one can simply snap a picture on their phone camera and, if you are lucky or unlucky, ghost might pop up in the background. However, spirit photography is not a new phenomenon; it dates back to the 19th century. It is safe to say that since the early days, fraud was very common when it came to paranormal; spirit photography included. Nowadays, not much had changed. Majority of ghost photos found online are completely fake, created for fun purposes. In the sea of frauds, it is getting harder to tell which photos are real and which ones are fake. 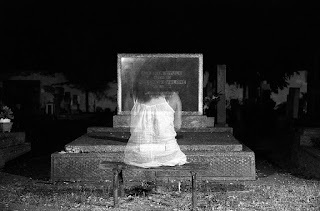 Therefore, spirit photographs used in this article are ones with the most credibility; either for their back stories or their longevity and popularity. 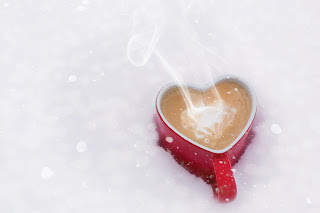 Let's put a little bit of a lighter tone on this blog - Valentine's Day! Well, Valentine's Day superstitions, that is. Much like any other Holiday that exists, Valentine's Day is no stranger to superstitions. Most of magical beliefs surrounding this holiday are centered around love. So, if you are interested in finding out who will your future spouse will be or what your current partner truly thinks of you, check out the list bellow. Also, keep in mind these are just superstitions and purely for fun! 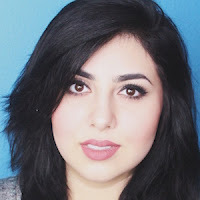 February's favorite paranormal YouTube channel goes to Brooke Houts! Brooke started her YouTube channel in February of 2014. Since then she has grown to over 230,000 subscribers. Her channel mostly consists of personal and humorous vlogs and storytime videos with, of course, some really interesting paranormal videos. Brooke's Ouija Board videos are specifically my favorite on her channel. *REAL* Ouija Board Challenge (Satan answers) In the following video, Brookes decides to play an Ouija Board with her friend at an abandoned building. What makes this video stand out from the ocean of Ouija Board videos found online is that the board kept spelling the letters S, A, T. As Brooke's friend cleverly put it, it was not going to spell Santa. EVP (Electronic Voice Phenomenon) - Is It Really Paranormal? Now we ask an old age question that comes along with anything unexplained; is it really paranormal? Believers theorize that it might be of a paranormal origin while debunkers are trying to find possible rational explanation for EVP. In the following text, we will discuss several theories on what an EVP could be, where could it come from therefore if the mysterious audio originates from beyond the grave or are we simply failing to see something rational. This is the most popular theory for the recordings which contain mysterious and unexplained sounds and voices. This theory is so popular that a lot of researchers who investigate ghost phenomenon use EVP as a way of communicating with people who have crossed over. THOMAS EDISON & THE EVP The idea of recording a ghost voice was first introduced in 1920's when Thomas Edison himself tried to invent a machine that would communicate with the dead. Edison believed that our personality might survive the death of the body as well as that we might be able to record something otherworldly only if we could create a delicate enough machine. Obviously, Edison never succeeded in his invention, but his idea lives on. Voices of the dead are captured in an audio recording. In layman's terms, Electronic voice phenomenon is supposed to be exactly that; recorded voices from the afterlife. According to Wikipedia, electronic voice phenomenon or, shortly, EVP are sounds found on electronic recordings that are interpreted as spirit voices and might be intentionally or unintentionally recorded. As mentioned, Electronic Voice Phenomenon (EVP) is a sound or a voice which appears on a recording but has no known or scientific explanations for being recorded. Therefore, the sound or a voice is not heard during the recording session. Instead, it is heard later upon the reviewing of the tape. Mostly, such mysterious sounds are attributed to the spirit world since no known explanations could seemingly be found. Friday the 13th - Where Does It Come From? 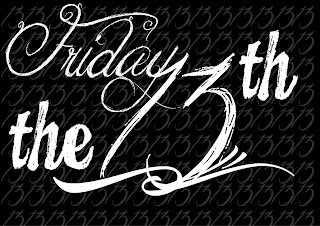 Friday the 13th is considered as one of the scariest dates of the year in the Western culture, making it the biggest competitor to Halloween. Friday the 13th is so infamous that not even Hollywood has not missed a chance to cash on by filming one of the greatest horror classics of all time and naming it Friday the 13th. What it is about that day that made it so infamous? Let's find out! 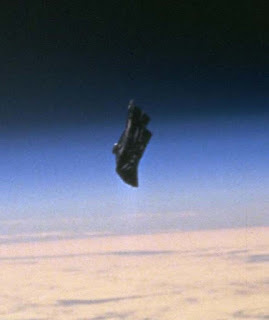 Mysterious Black Object Orbiting the Earth? Mysterious black object was detected orbiting around Earth, therefore giving it a title of a satellite. The mystery was created due to the speculation that the object is neither of human or natural origin. So, where did it come from? Naturally, people started to theorize that the unusual black satellite might be of an extraterrestrial origin. The satellite was appropriately named the Black Knight. It's time for another favorite paranormal YouTube! Today we will be looking into the channel Jessica Danielle. Mostly a vlogger, her channel currently has over 35,000 subscribers and growing. Although this channel is not strictly focused on paranormal, Jessica's spooky stories are certainly some of my favorite. She is a great storyteller and her approach to paranormal stories is pretty different and unique in a good way. As of recently, Jessica Danielle had started posting interesting conspiracy theories videos as well as spooky countdowns including creepiest exorcisms and haunted places. Jessica's paranormal videos are among her most viewed videos. Therefore, it is only natural she would take a spooky route. Some of my favorite Jessica's scary videos are listed bellow. They are both scary and humorous! Enjoy! Mind you, Mysteria Words is in no way affiliated with Jessica Danielle. The Pact: "Is There Anything After Death?" Everyone will eventually start to debate on the meaning of life which mostly leads to the never answered question: Is there afterlife? The following story started in the same tone when two friends started talking about the afterlife. Interestingly, one of the woman appeared to get her answers. In 1972, artist Bill Stoneham painted a picture named "The Hands Resist Him". 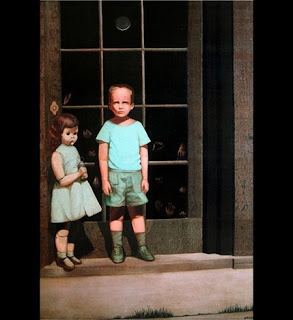 It was a painting of a young boy and female doll standing in front of a glass door against which many hands are pressed. Actor John Marley was the first person who purchased the now infamous painting. The second owners were a Californian couple who in the year 2000 posted a painting on eBay for sale. Their post quickly gained unusual popularity. Why? Well, due to the couple's claims that the painting is actually haunted.